All Walnut Springs homes currently listed for sale in Walnut Springs as of 04/24/2019 are shown below. You can change the search criteria at any time by pressing the 'Change Search' button below. If you have any questions or you would like more information about any Walnut Springs homes for sale or other Walnut Springs real estate, please contact us and one of our knowledgeable Walnut Springs REALTORS® would be pleased to assist you. 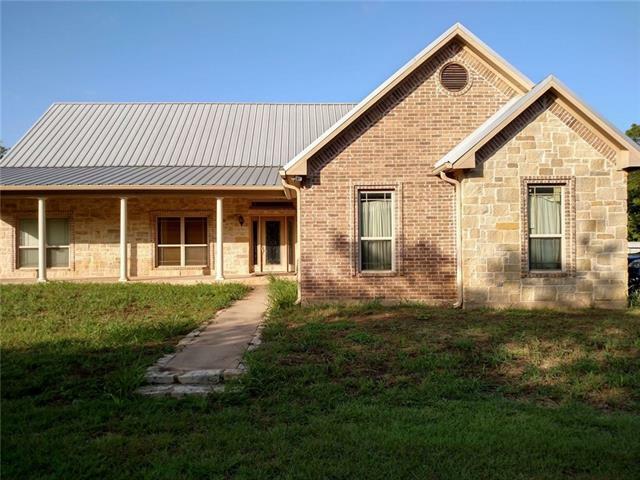 "BEAUTIFUL RANCH HOME with metal roof on 16.13 acres. Living room, kitchen and dining create a huge, warm, inviting area that offers access to the large front and rear patios. Perfect for family and entertaining. Large master suite features walk in closets, garden tub, separate shower, double sinks. Off of the master is a room that will meet the buyers specific needs, office, nursery...Spacious secondary bedrooms. Great size utility-mud room. RARE FIND, 12x9 STORM, SAFE ROOM! City water and sewer"